Postcards have been consistently one of the more popular collectibles and used as promotional materials. More and more business owners are turning to color postcards as a good way of promoting their products and services. This is simply because postcards don’t have to be opened. It won’t get lumped in with all the mail envelopes that people usually toss without opening. Business owners can’t afford to make mistakes when it to comes to their promotional materials. They spend a considerable amount of money in it so they would want them to bring greater sales and profits to their business. Thus, if the postcard reveals a glossy, professional attractive picture, the recipient will likely look at the picture and turn it over to see who sent it. Then before putting it aside they might think of visiting your store on their next shopping spree. If you do not have an idea on how to design and create your own postcards asking the help of professional printers can help in creating attention-grabbing and effective postcards. These professionals have experience in advertising and printing so they can give advice on how to go about with your postcard printing. But what should you look for professional printers? First off, understand that reputable printers have time frames in completing their jobs. So ask the printer that you are considering how long it would take for them to finish your project. Have some guarantee from them about the work that will be carried out. Also, know the exact price that you will pay as often there are discounts for large print jobs. This can save you a lot of money so ask the print shop about this. Ask also for a sample of how the finished product will look like for your approval before the entire order is processed. Printing services are increasingly becoming more affordable these days. With new technologies used in printing, each print job costs cheaper as production volume increases. The speed of turnaround time has also increased with modern printing machines. Most printing companies can print hundreds and even thousands of pages every hour. Additionally, with the selection of printing techniques available today, whichever technology you use you will find that these printing services will meet your printing needs. It is just a matter of finding the right printing service for your print job. Thus, to create an arty promotional material for more effective business advertising, turning to the professionals is a good idea. If you want to earn more profits always remember your business purpose – that is to sell your goods and services. 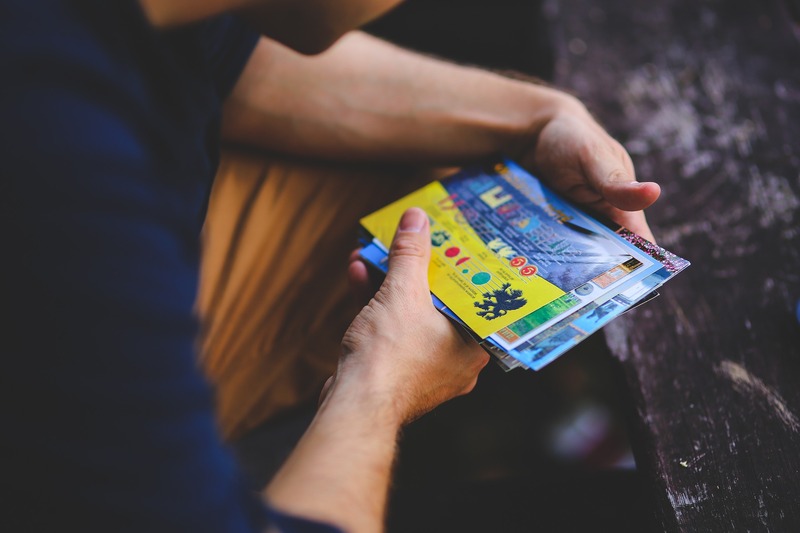 With your people-pleasing postcards, your prospects can easily be reminded of your store.